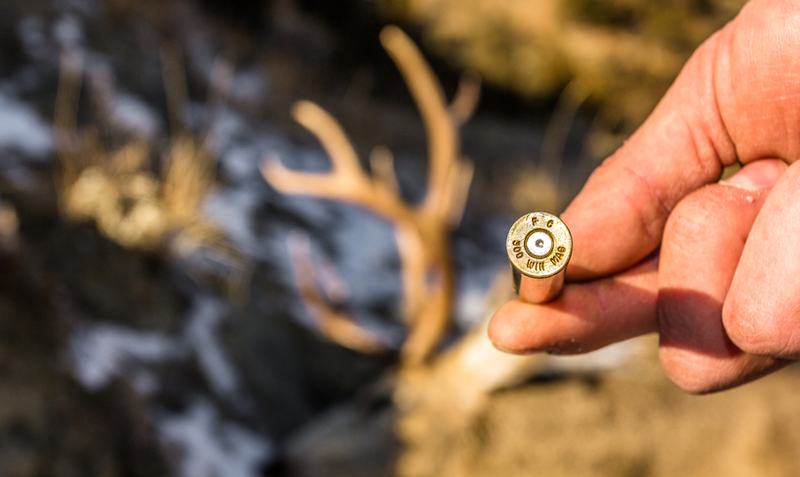 Alternative non-lead bullets have been available since the 1980s with a small variety of calibers originally available to sportsmen. 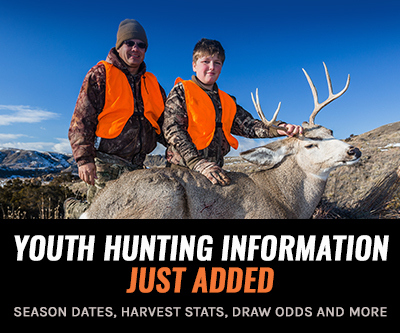 The recent ban in California on the use of traditional lead ammunition and the voluntary use of non-lead ammunition by sportsmen in Arizona have allowed the non-lead market to expand and, ultimately, lead to new advancements in ammunition technology. But how good of an alternative is a copper bullet? Lead bullet on the left and a copper bullet on the right. Lead is a dense and heavy metal. This increased weight means shots have more momentum, velocity and even more accuracy, allowing lead bullets to deliver a better upset at long range. A copper bullet with the same dimensions of a lead-core bullet will undoubtedly be lighter, meaning it will not retain its velocity as well or carry quite as much energy. It is also important to note that the speed at the muzzle will not offset a higher ballistic coefficient downrange. Because copper is harder than lead, a lightweight non-lead bullet does not accelerate as fast as a traditional bullet without boosting pressure. There is simply too much friction from the hard shank. 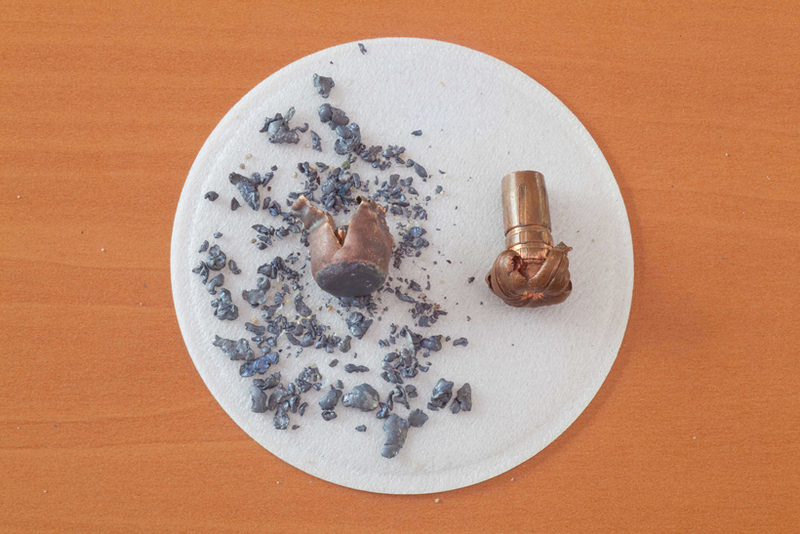 As for penetration, the copper bullet fares very well, typically retaining more of its original weight than lead bullets and delivering a more symmetrical blossom, which tends to drive straighter. 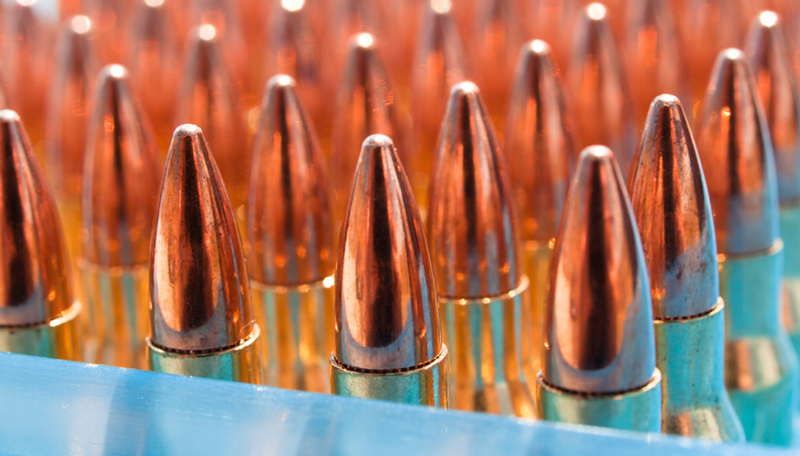 Copper bullets may be lighter than lead bullets, but they are also harder. This means that they are less prone to fragmenting. 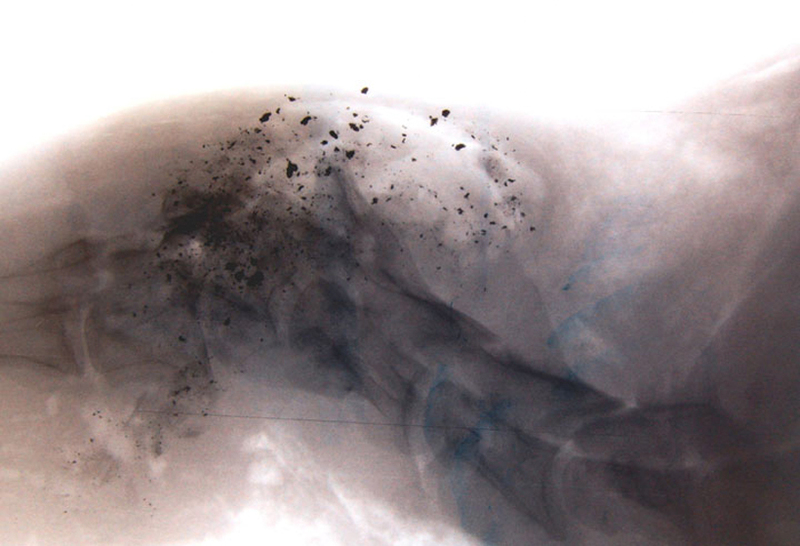 Though lead core bullets deliver a quick and humane blow to big game animals, they do so at the cost of lead fragmenting throughout the wound tract. This can taint the harvested meat and organs, which later on may be consumed by humans or scavenging wildlife. While the degree of fragmentation varies between ammunition brands and bullet design, results show that lower grade bullets can lose up to 35% of their original weight by fragmentation and premium grade lead core bullets can lose anywhere from five to 20%. Additional studies have shown that lead fragments that are too small to be detected can travel two to 18 inches away from the wound channel. When it impacts dense objects (bone will cause bullets to break apart much more than flesh or organs). This could change as more makers develop more bullets made of copper and gilding metal. Should the transition happen from lead to non-lead bullets, many guns will also have to be redesigned and will be more costly to build. 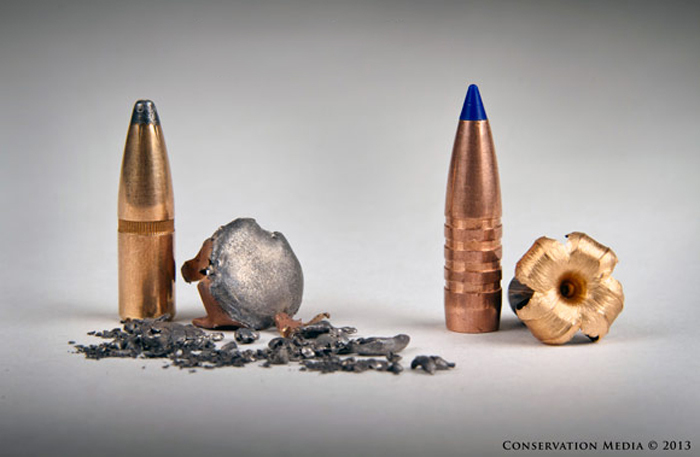 Using non-lead ammunition in guns designed for lead causes them to wear out much more quickly. Another concern regarding bullets is throat life. 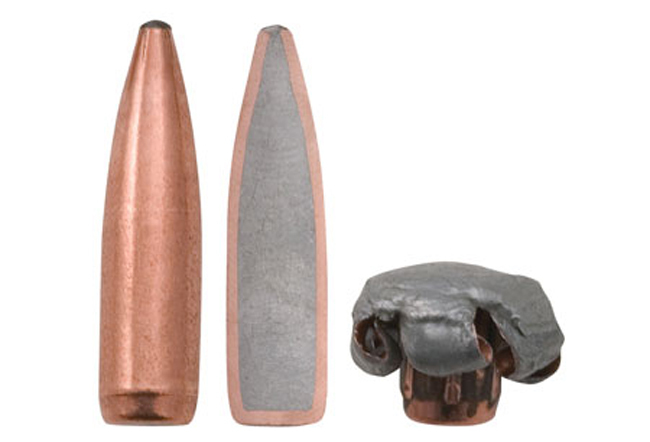 Lead bullets are generally easier on the barrel since they are softer than copper jackets. Lead bullets can also be made to fit the diameter of your specific barrel better, providing a better “seal” and, theoretically, a better group size. It should be noted that even though harder bullet material like copper increases friction and accelerates wear, few individuals actually shoot enough to ruin a throat with these bullets. There has been much discussion over the impact that lead bullet fragments have on scavenging birds such as the bald eagle or turkey vulture. These birds are often exposed to lead through bullet fragments in gut piles and unrecovered deer carcasses. There has also been concern for other mammals, such as black bears or wolves, that take advantage of these feeding conveniences. It should be noted, however, that so far there has been no scientific evidence backing these theories. Lead is not going anywhere fast. 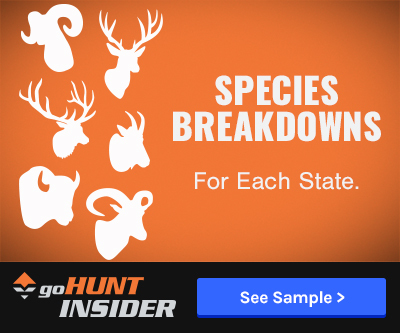 If you hunt places other than California, you still have a choice on using conventional lead bullets or opting to use an alternative. With the advancements and current research going into copper bullets, it is possible that hunters will make the switch to an alternative bullet due to better performance, but for now, it is really up to a hunter’s preference.